As the equity market correction unfolds, the current list of the top 10 Fidelity mutual funds shows a dramatic shift compared to what we have seen throughout the year: seven out of the top ten funds are now income funds. 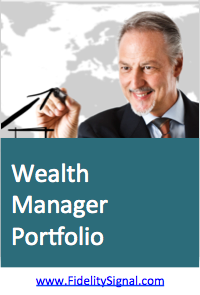 The weakest investments that I highlighted in previous blog articles, such as mutual funds investing in the Eurozone and energy, have continued to decline. 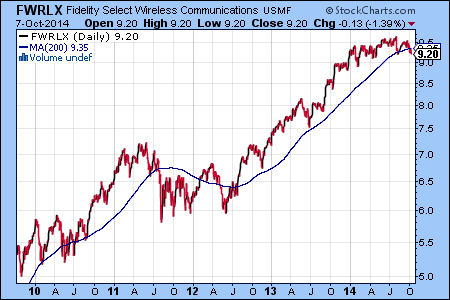 However, they are so oversold now that it would not be surprising to see a relief rally. Yesterday, the sharp stock market sell off spooked many investors. 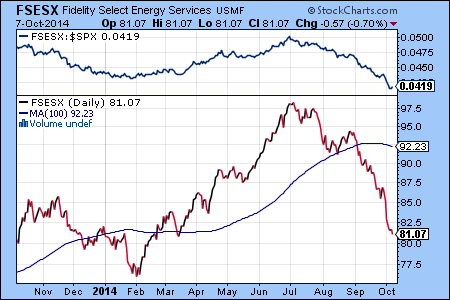 Several equity sectors were down more than 2% and the selling was broad-based. The cause of the sell off was a combination of mixed signals about the U.S. economy and the increase of geopolitical risks in Argentina, the Ukraine and the Middle East. While equities closed lower again today, the late afternoon rally increased the likelihood of the return of a more stable market next week. 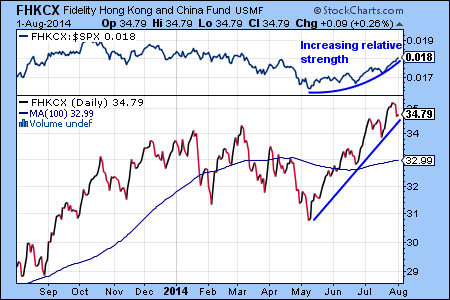 The Fidelity China Region Fund (FHKCX) held up the best during the sell off and may continue to do so should the equity sell of resume in September. 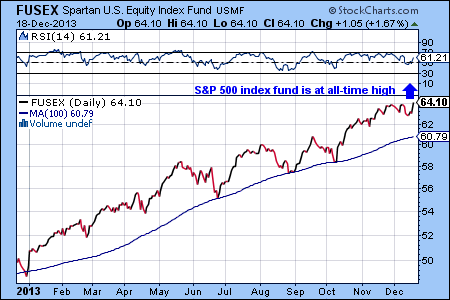 The FHKCX chart shows that the strong bullish trend is still intact and the relative strength vs. the S&P 500 continued to increase during the sell off. 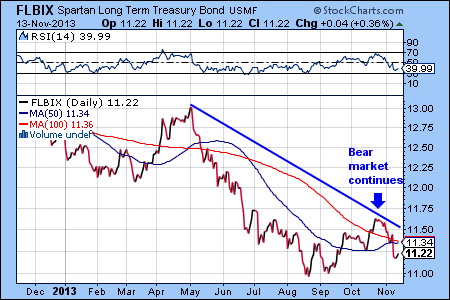 Treasury bonds often serve as safe haven in volatile markets. 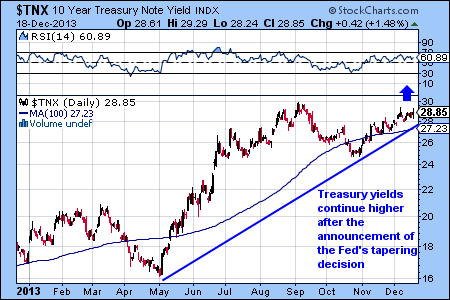 It is widely expected that interest rates will rise in the near future, which should cause the price of long-term Treasury bonds to fall, not to rise. 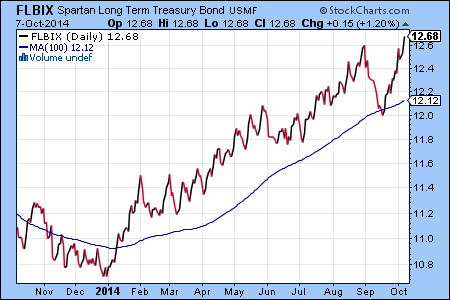 Consequently, a continued bull market for Treasuries may serve as a cautionary signal for equity investors (see Spartan Long Term Treasury Bond Fund chart below). 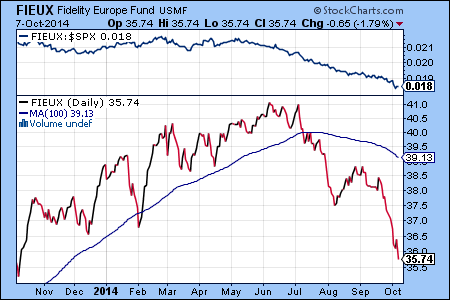 Also, we are approaching the seasonally weak September-November period when most of the market crashes occurred. Taken together, the market action should caution investors to steer away from high risk investments until conditions stabilize. 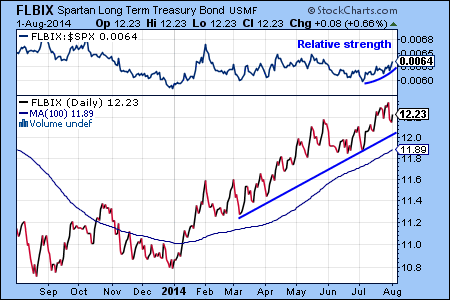 We noted in in the March 26 blog article that the sector rotation has intensified as we approach the seasonally weak April-May period. 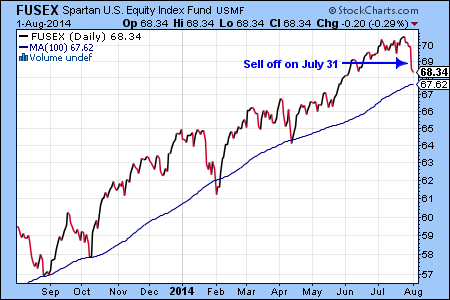 In the last two weeks the stock market sell off continued, which negatively impacted most equity mutual funds. Long-term interest rates have also started to decline, which benefits the Fidelity Spartan Long-Term Treasury Bond Fund (FLBIX). 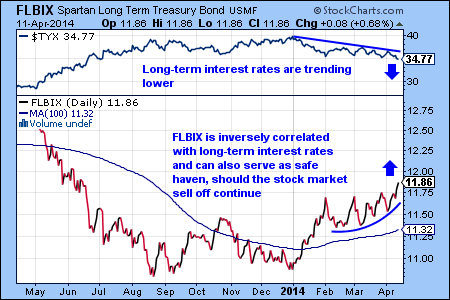 The chart below shows the inverse correlation of FLBIX and interest rates (see $TYX, the 30-year Treasury Bond Yield Index on the top panel). 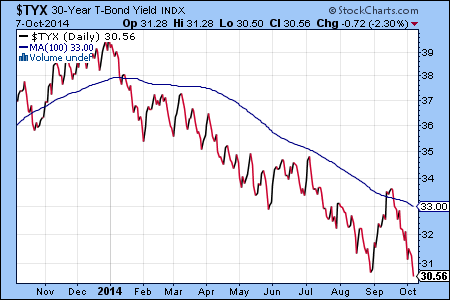 The yield on the benchmark 10 year treasury note have moved above 2.70%. 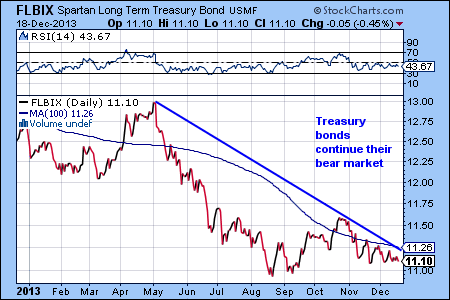 With interest rates continuing to go up, it is not surprising to see investment funds for treasury bonds to continue the decline that was started in May 2013. 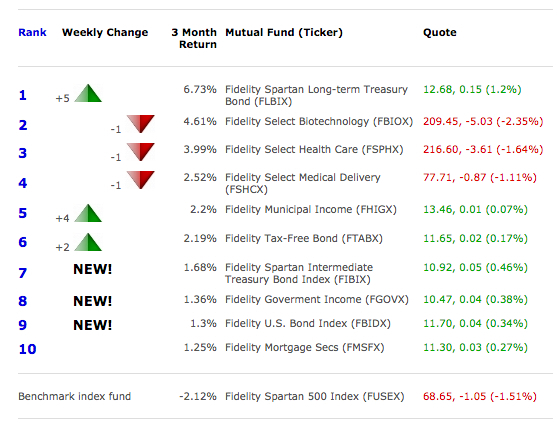 The Fidelity Spartan Long-term Treasury Bond fund (FLBIX, change: -1.28%) pulled back the most today out of all of the Fidelity funds we track. Nevertheless, FLBIX continues to be the best fund year-to-date with a 21.1% gain. The Fidelity Spartan Long-term Treasury Bond fund (FLBIX, change: -1.28%) was the weakest performer today and continues the regression towards its trendline.